Libraries have been around for millennia, storing the world's knowledge and equipping people with the information they need. Today, public libraries help billions of people access information in our increasingly connected world. One of them is the Brooklyn Public Library system in New York City—which serves 2.5 million residents and offers millions of books and access to more than 1,000 free Internet-accessible computers. 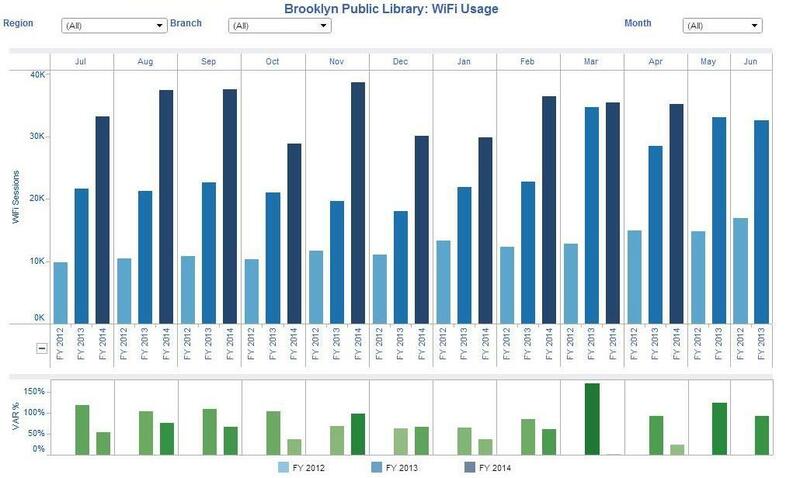 Brooklyn Public Library (BPL) wanted to make sure that it was meeting its patrons' needs. “We do so much to touch the lives of people in Brooklyn,” says Selvon Smith, the library's CIO. But it was difficult to measure that effort. BPL was using a reporting system that took up to two weeks of manual work each month, but didn't always answer basic questions. When they switched to Tableau, they discovered many trends—for instance, that library WiFi usage was outpacing PC sessions. By discovering more about their patrons, BPL was able to make more data-driven decisions about serving them. But libraries aren't the only organizations that focus on information access and education. The University of Western Sydney recently shared their Tableau story with us as well. By improving access to information, libraries and schools make a big impact all over the globe. We were thrilled to interview two leaders in this area—and find out how data is helping them bring information to the people! Want to learn more? Check out our interviews with Brooklyn Public Library and the University of Western Sydney, or see how other educational leaders are using data.